Continuing the journey of food as it travels through your digestive system and into the small intestine. 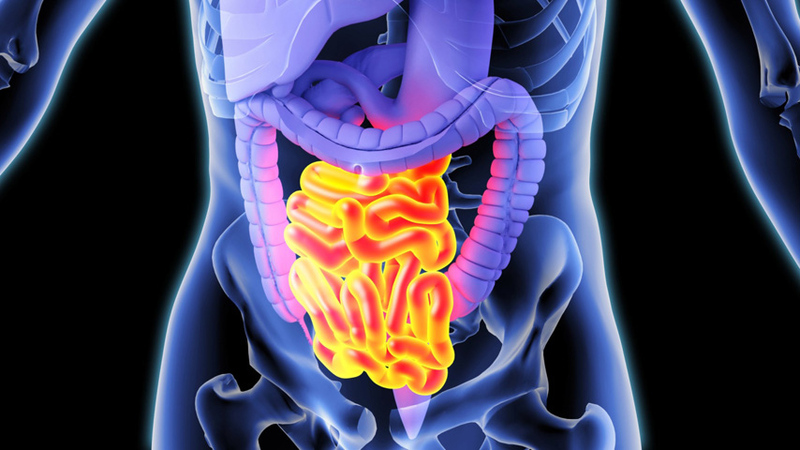 At 5m long, the small intestine is the longest part of your digestive tract. The small intestine receives pancreatic juice which breaksdown three major food groups, fats, carbohydrates and protein. The liver creates bile, which is stored in the gall bladder before being squirted into the small intestine. The small intestine walls consist of millions of microscopic, finger-like projections called villi that absorb sugars, amino acids and fats. The journey your food has taken so far, has all been to prepare it for absorption in the small intestine.